In a bold initiative in 1991 SC ELKA PROD SRL was founded as manufacturer of vulcanized rubber small parts. Soon, in production is added the sheet stamping procedure, so that in addition to existing products, the company can start to produce rings of various sizes. The range of products has grown with the addition of new technologies: casting and machining small parts made ​​of aluminum and plastic injection, which will become the main area over the coming years. So, in 1997 , in addition to vulcanized rubber products (with or without metal inserts ) , the company produces aluminum bearings and various spare parts for household appliances of domestic product ( knobs , hinges , blades , pulleys , wheels, gaskets, handles ) . Increases, on the economic side and in the range of products led to the need to develop the stock of machines. In addition to production of plastic parts, the company has developed its own mould sector which, answers in addition to its own needs on current molds, other requests coming from outside . In 2000 we developed a new product, the game of logic and perspicacity 3D QUATRENE promoted nationally, present in school competitions held in Oradea. With each new product we created, we conceptually improved and with the new products we have developed our portfolio of patents of industrial designs. 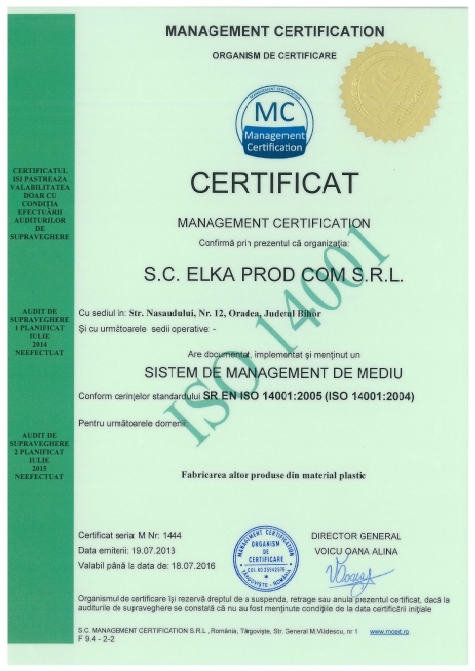 In addition to more or less simple products made ​​of plastic, we started production of assemblies which, besides components made from injection molding, contain various electronic components such as: lighting, lamps (canopy) TAXI or models LED. 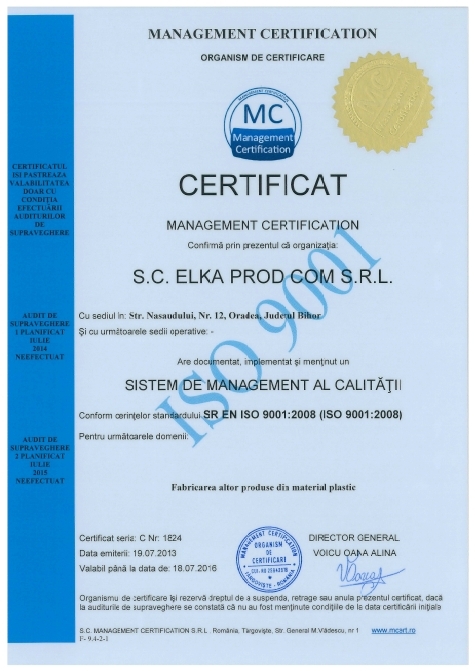 With a total of 5 specialists in product development, 12 employees in the production and 3 civil TESA, our team is guided by the rules of quality manual of ISO 9001: 2008 and ISO14001: 2005. So, we offer 100 % quality products designed within our company as well as high quality service. In addition to developing its own products, our company is a partner in various research projects, innovation and product development / technology, nationally and internationally. 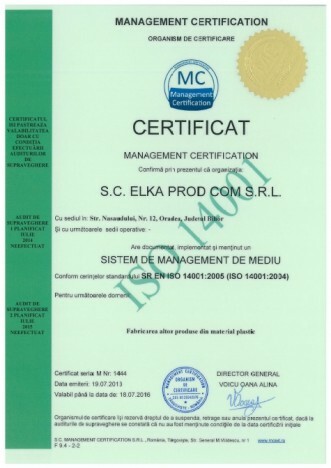 © 2019 ELKA PROD COM SRL. All rights reserved.